Executive Case boasts a sleek, streamlined design that bridges the gap between the office and home. Executive's interior includes storage pockets with enough room to hold papers, business cards, and other essentials. This product has been discontinued and is no longer available for purchase. First let me say it's the best cover I've found. Here's some thing I wish could be made to next version to improve it. -a way to put away the closure tab, it flops around and gets in the way. 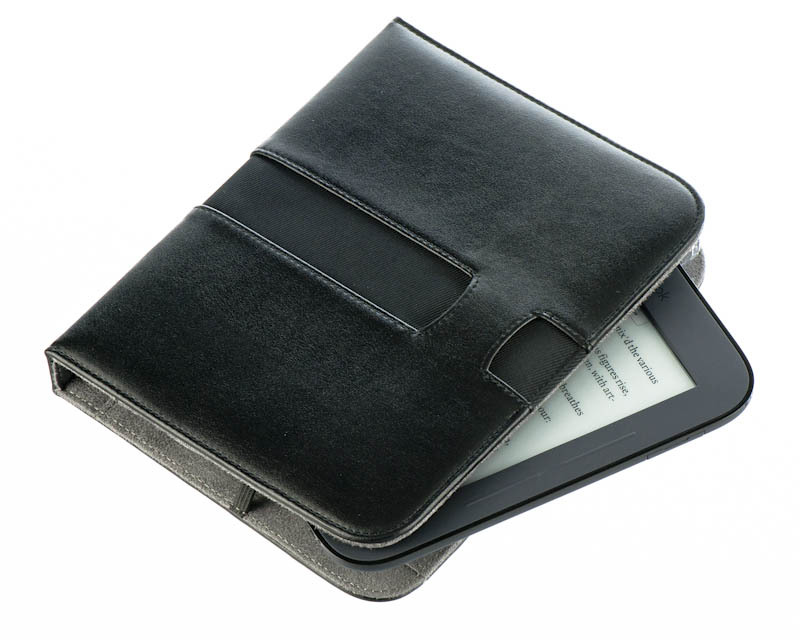 with your executive case for original nook, you could tuck the tab behind the nook (between the nook & the back cover), I miss that. -I'm not a fan the bracket that holds the nook in place. It adds thickness and dosen't hold the nook as secure as I'd like. -a new version of the booklight, that was slightly shorter and if you moved it to the top of the cover (like your original nook executive case) still allowed the nook power button to be pushed. That way the book light didn't have to bend around the nook and the over size of the case could be smaller. I had the executive case for my original Nook so the executive case for my touch was an obvious choice (given how pleased I was with the original). This case has a canvas strip rather than being all leather (which I'm not that keen on) The clasp which I used to slip behind the original Nook when reading (other wise it flaps over the page) can cause the Touch to pop out of the clips, which seems to happen less now its not so new and the leather is more supple... But the thing that stops me giving 5*s is the strange decision to place the light under the nook when not in use (and with the touch light I find it needs to be held in the little loop to avoid coming on by accident). In this arrangement I CANNOT just plug the nook into my PC (as I could with the old case) as the usb connector is now hidden... so my usual practice of coming home, connecting the nook to the PC and having Calibre dump my subscribed feeds overnight ready for the morning commute to work on the tube is made more fiddly as I have to open the case, move the light, connect the cable... irritating when the light could have been designed to loop over not under the nook. Other than that... the speedy delivery across the Atlantic and the overall quality and design of the power button (mine seems perfect never getting bumped on when in my case) is pretty good. Overall good but not great. I like this case overall, but I dislike how the case takes one of the smallest, lightest, and most slim reader on the market and makes it, well, far from slim. 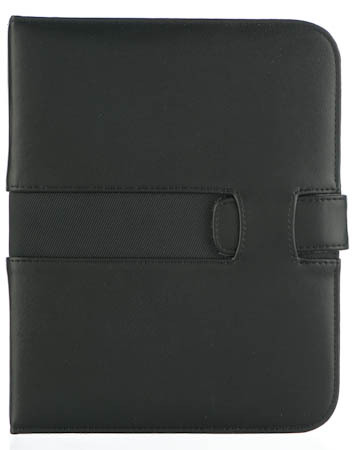 My previous M-Edge case for my Nook Classic was very nice, and didn't change the size of the device very much at all. The case works as advertised, is high quality, and overall, a winner. This is my second M-Edge executive case. The first was for my original Nook and I loved it. Just received this one for my Nook Touch and again I am impressed with the quality of this case. Case is well put together and best of all very sturdy. If you have shopped for Nook cases you will know this is one of very few that actually has a clasp to keep it closed in case of an accidental drop. The touch light is a nice addition. I would recommend this case to anyone. Thank you M-Edge for making such quality accessories for my eReader! I've bought it as gift for my friend. He was so happy!!! I love my case in purple and the eluminator touch light!! My best friend also bought a touch Nook so I surprised her when visiting her in Colorado with a purple cover and touch light, she loves it also!!! Now she's going to order one for her daugher-in-law!! I also had three covers for my original Nook and loved them all!! Now my husband uses it!! I am so happy with my Executive Jacket, I purchased it in Purple and it is beautiful, the picture on this site does not do it justice. 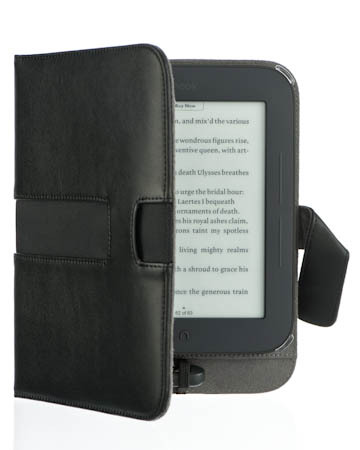 It holds the Nook Simple Touch very securely, and I love the fact that the case stores the booklight as well. The case is of very high quality, perfect stitching and is thick enough to product my e-reader if it were to fall. Not to mention the great customer service. 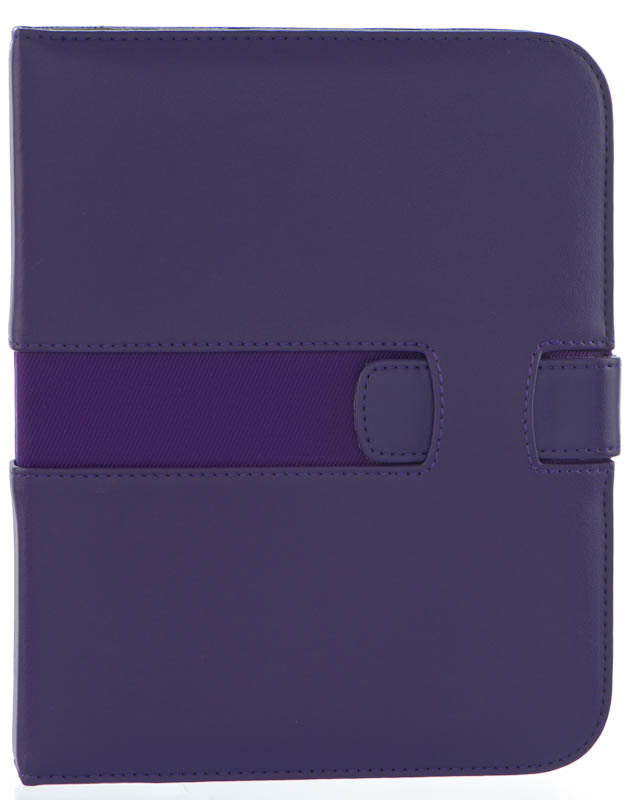 I ordered the case in black and changed my mind and requested to change it to purple, which they did right away. I ordered Friday night it was shipped out Monday and received it Wednesday. I am so happy with this company. 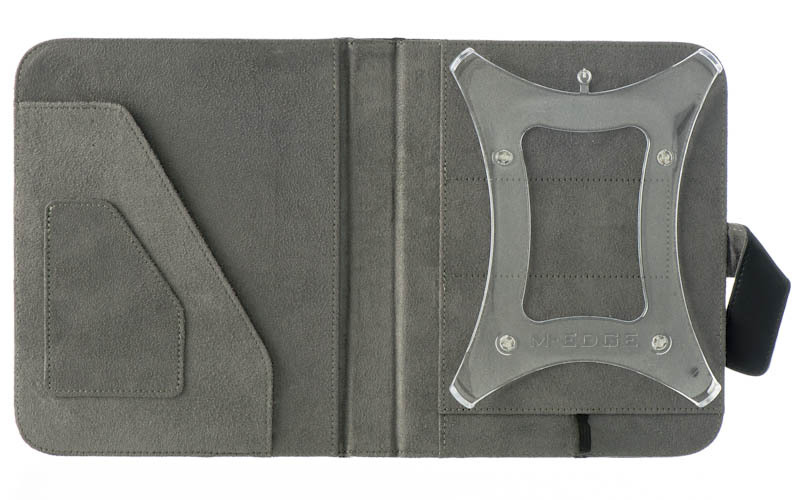 I had an M-Edge case on my first Nook and so was anxiously waiting for them to come out with a case for the newest Nook. It was worth the wait. 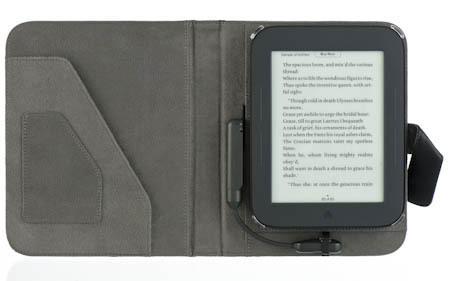 This case looks great, keeps my Nook safe in my purse, and I love how the their booklight tuck right into the case. After a flawless experience with an Executive Jacket for a Nook Classic, it was a no-brainer when I traded in my Classic for a Nook Touch. The first Executive Jacket I received had a problem with the bottom corner clips popping loose. M-Edge Customer Support immediately diagnosed the problem as a molding defect, emailed a prepaid return shipping label and delivered a new replacement jacket to my door within 3 days! The replacement jacket has no issues with the corner clips and holds the Nook in a solid embrace. Material quality of this case is outstanding but there are two minor issues that restrained me from giving this handsome and durable case a perfect score: (1) The plastic extension from the back of the case to the power button is too long; just handling the closed case at the top frequently turns on the Touch. (2) As a satisfied owner of an e-Luminator2 Booklight, I expected it to work with this case. While it does fit inside, it must be pulled out about an inch to give the light enough room to be rotated to vertical, since it rotates from the center of the battery compartment, not from the bottom like the e-Luminator Touch. 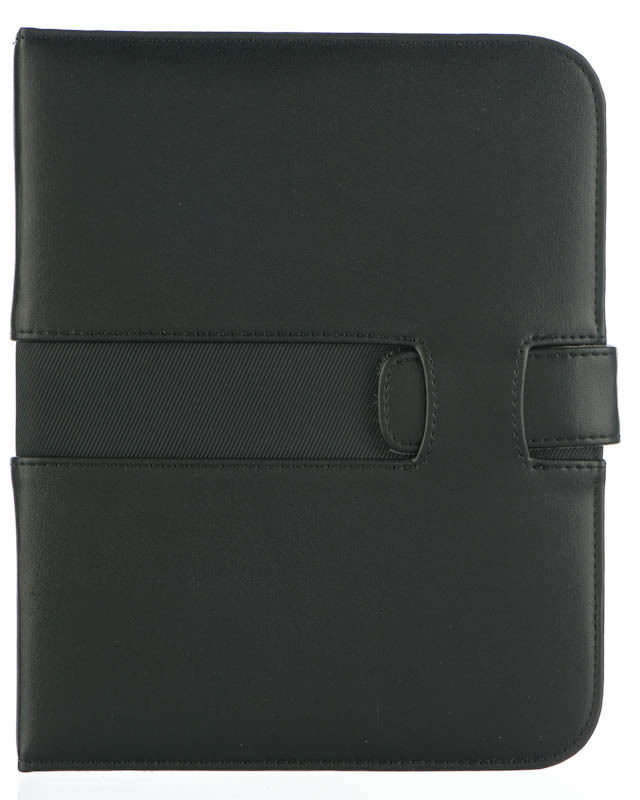 Despite the nits, this cover would still be my first choice for a Nook Touch and M-Edge's service is outstanding. Really nice cover well made I like the fact that you can store your M-Edge book light inside it so it's always there to use.It is priced a bit high but remember you only get what you pay for Buy cheap get cheap I'd say spend a bit more and get a cover that appears that it will last a long time. Best Christmas gift to myself ever! I can't stress enough how happy I am with my most recent purchase of the executive jacket (purple color). It feels great on my hands and extra comfy while riding nyc subway. By the way, m-edge customer service is absolutely superb. I originally ordered the Go! jacket, but changed my mind, contacted customer service via email and they immediately changed my order! Thanks again, M-Edge! got this case when i got the new nook touch. my old book light from m-edge fits in it & i haven't had any issues with it thus far. I got this in purple, such a great color! And I use it everyday with my eLuminator book light. I have the older one with the two setting switch in white. I don't know what the problem was with other reviewer, my was tight at first, but a little wiggling and it fits like a dream. Love that my light is with my nook all the time! Love this product. Would love more colors...hint, hint, hint! I got this case for my girlfriend's Nook Touch. She was super picky but loved the jacket (in purple). At first I had a bit of trouble getting the Nook properly mounted on the plastic, you have to use a bit of force getting the last clip completely over the edge correctly, but once it is in place there is no way its coming off. The actual case is a bit longer and wider than the Nook itself but she loves that her light is always with her. Great purchase, Thanks M-Edge! Love this! I bought an MEdge cover for my last nook and new that when I bought my new nook I would have to get another MEdge cover. They are the best! High quality, well made and will last. I have had no problems with this cover! I actually like it better than the ones that are sold at the store. When people were complaining about the flap, I thought that would get in the way, but it doesn't at all. You could just tuck it behind the nook (which doesn't pop out like others have said) or you could just tuck it in the hole that you normally would close the nook with. This cover is amazing. I got this case and the M-Edge e-Luminator Touch booklight for my Nook Touch. It was a bit difficult getting the Nook in right, but once I got it in it is in solid. The booklight fits in just right and stays very much out of the way when not in use, such as when reading on the subway. Sometimes when packed tightly in a backpack or briefcase the Nook gets turned on, but with its fabulous battery life this is not a major problem. All in all a very nice case particularly with the booklight. I was disappointed with the Nook STR cover. The cover itself is beautiful, but is obviously one made for an original Nook. To accommodate the STR, a plastic attachment has been added. While the attachment holds the Nook securely, it is about an inch smaller than the cover, leaving about an inch of air at the lower edge of the cover. I was so happy with my executive jacket from M-Edge for my original Nook so I was waiting with bated breath for them to release their accessories for the new NST. Not only did it take FOREVER for them to release them, this jacket is horrible compared to the first one. The purple is super bright and not anything like the purple leather of my previous jacket. The original light (non touch) doesn't fit in the jacket. Maybe the new touch light does, who knows, but I'm not investing more money into another light when my old one works perfectly fine. The old jacket used straps to hold the Nook in the case. This new case uses a snap in mounting system that does NOT work very well. Once it's finally it, it's super hard to get back out. It doesn't feel nearly as well made as my previous executive jacket as well. All around, I am super disappointed in the quality of this case. :( I am returning it and investing in a better, well designed case from a company with better customer service. You've lost a customer M-Edge.